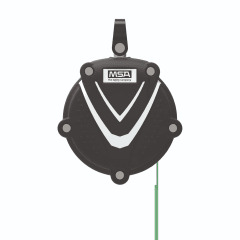 MSA Safety has launched a new SRL (self-retracting lifeline) specifically adapted for contractors in the construction market. Wrapped in rubberised armour, it is designed to withstand all the rough treatment that harsh worksites and hardworking trade professionals can throw at it. MSA Safety introduces the revolutionary new V-SHOCK® 1.8m Personal Fall Limiter (PFL) which has been developed in response to industry demand for a fall protection solution that will stand up to the most challenging of construction environments. This V-SHOCK PFL is physically tough with rubberised protective casing that is vibration and shock resistant – allowing it to shrug off the knocks, drops and rugged conditions typical of life on a construction site. 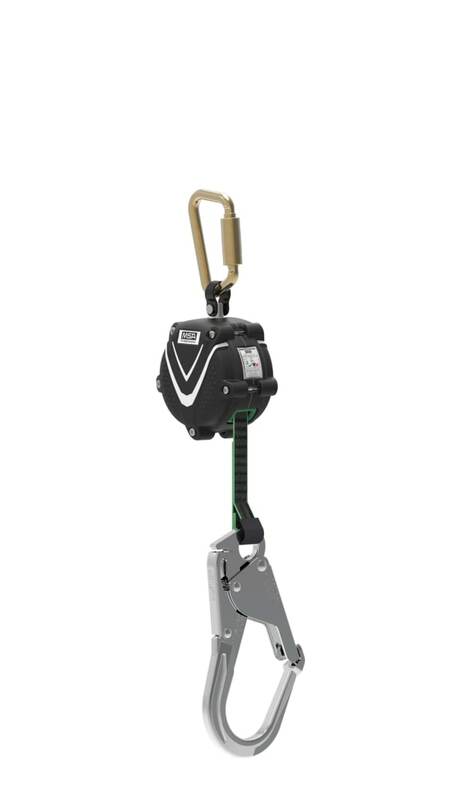 Weighing in at just 0.8kg (excluding connector), the product is a lightweight solution to fall protection – increasing worker productivity and reducing fatigue. Part of MSA’s innovative and easy-to-use V-Series of safety harnesses and SRLs, the V-SHOCK PFL is compact, robust and water-resistant, with a nonslip casing that makes it easy to carry and move from site to site. Peace-of-mind is enhanced further with Dyneema® webbing that does not swell when subjected to wet environments, allowing for full retraction. V-SHOCK uses MSA’s patented energy absorbing technology which is precision-made and pre-engineered and does not require re-calibration or adjustment as seen in traditional SRLs − ultimately minimising downtime, repair, and maintenance costs. Furthermore, unlike most PFLs, the energy absorber is housed internally which serves to extend product life in abusive environments. The new MSA Safety V-SHOCK PFL is available now!